University of Southampton, UK is offering PhD position in biochemistry. This position is available for 5 years. The deadline for applying is August 31, 2019. It is now possible to imprison single molecules inside closed carbon cages so that they may be studied in near-isolation. These “nanolaboratory” materials are called endofullerenes. The trapped molecules are quantized and have a unique behaviour which may be studied by magnetic resonance, neutron scattering and other forms of spectroscopy. This PhD project concerns an interdisciplinary magnetic resonance and neutron scattering study of endofullerenes. The endofullerenes are provided by synthetic chemistry groups at the University of Southampton. The project is part of a broad program of research on non-equilibrium nuclear spin systems, with potential applications in many areas of science, ranging from fundamental physics, chemistry, materials science and biochemistry to clinical medicine. See https://cordis.europa.eu/project/rcn/216148_en.html and https://gow.epsrc.ukri.org/NGBOViewGrant.aspx?GrantRef=EP/P009980/1. 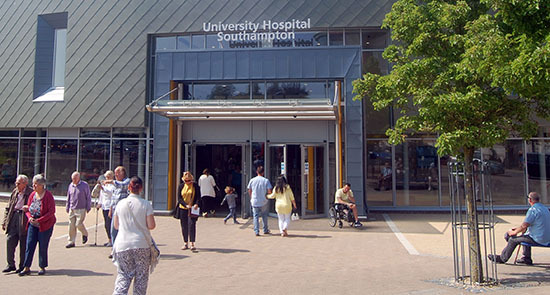 The PhD project will involve magnetic resonance in Southampton as well as neutron scattering experiments at the ILL and the analysis of that data using theoretical models of the quantized atoms or molecules. No synthetic chemistry is required. This PhD project is co-hosted at the University of Southampton and the Institut Laue-Langevin (Grenoble, France). At least 1 year will be spent in Southampton and 2.5 years at the ILL Grenoble. The project leads to a PhD in Physical Chemistry from the University of Southampton. It is supervised by Prof Malcolm H Levitt FRS at the University of Southampton and Dr Stphane Rols at the ILL. The successful candidate should have an excellent degree in physics or physical chemistry, a good mathematical background, and a special interest in interdisciplinary science. Only candidates from EU countries are eligible. Please ensure you select the academic session 2018-2019 in the academic year field and click on the Research radio button. Enter Chemistry in the search text field.